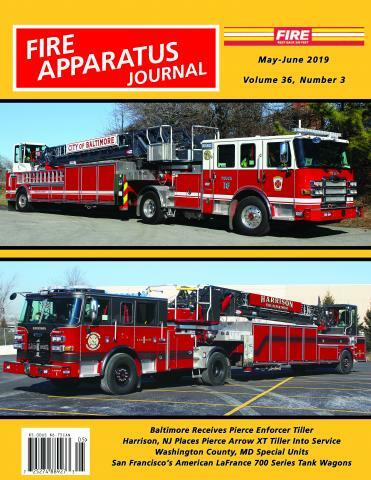 PRIDE OF THE FLEET by Curt Elie | Fire Apparatus Journal Inc. Many port cities as well as some departments with inland waterways to protect operate fireboats. Pride of the Fleet covers the fireboats that protect the world's waterfront and maritime industries. This column has provided in depth coverage of fireboats of all sizes. From a 12-foot long, waterjet propelled U. S. Coast Guard fireboat to the large "battleships" of New York City and a new fireboat in Kuwait purchased shortly after the Gulf War, this column has presented technical data, capacities, dimensions, operations and history of every aspect of fireboat design and operation. New fireboats are covered as are those that are refurbished. Occasionally, an article will be of a historic nature, covering a long-gone fireboat. The The Pride of the Fleet is written by Curt Elie. Curt's interest in the fire service extends back to his youth in the late 1940s when he began his fire buffing at the quarters of Engine 33 and Ladder 15 in Boston's Back Bay. Curt served two years in the Coast Guard in the late 1950s, then moved to the Washington, D. C. area in 1962. In 1965 he and two other members of Washington's Friendship Fire Association began to publish that group's quarterly newsletter, The Wagon Pipe which is still published today. Curt is currently one of the foremost authorities on fire boats.